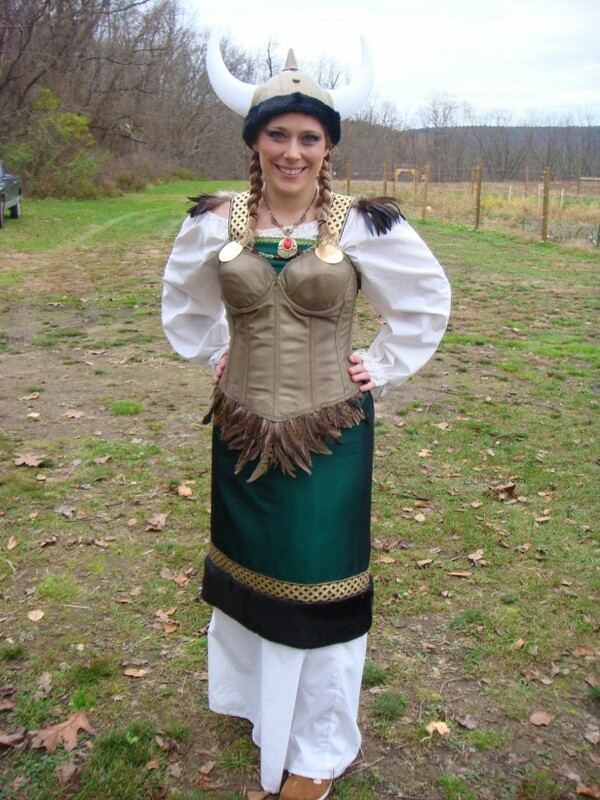 Announcing the winner of our 2012 costume contest! | Take Back Halloween! Announcing the winner of our 2012 costume contest! We had so many terrific entries to our 2012 costume contest that it was hard to choose. 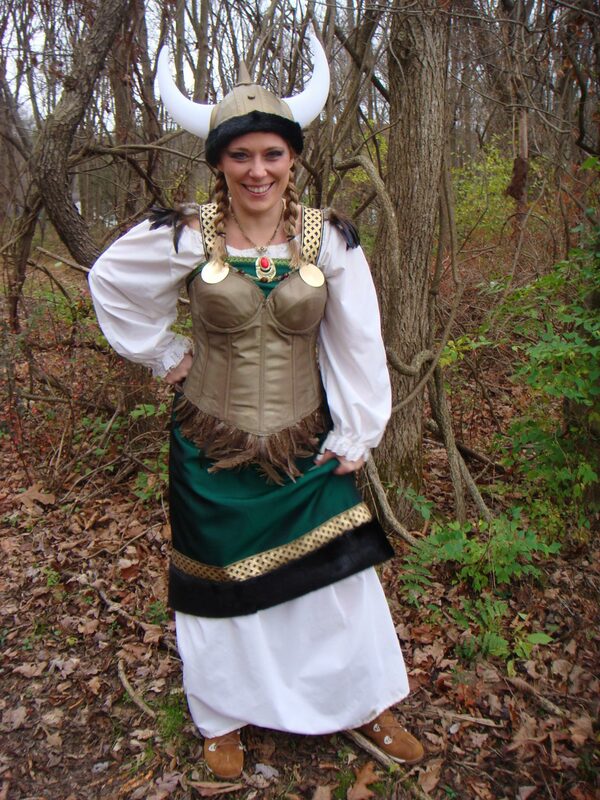 But choose we must, and so the winner is: Abigail Kluska as Freyja. Congratulations, Abby! 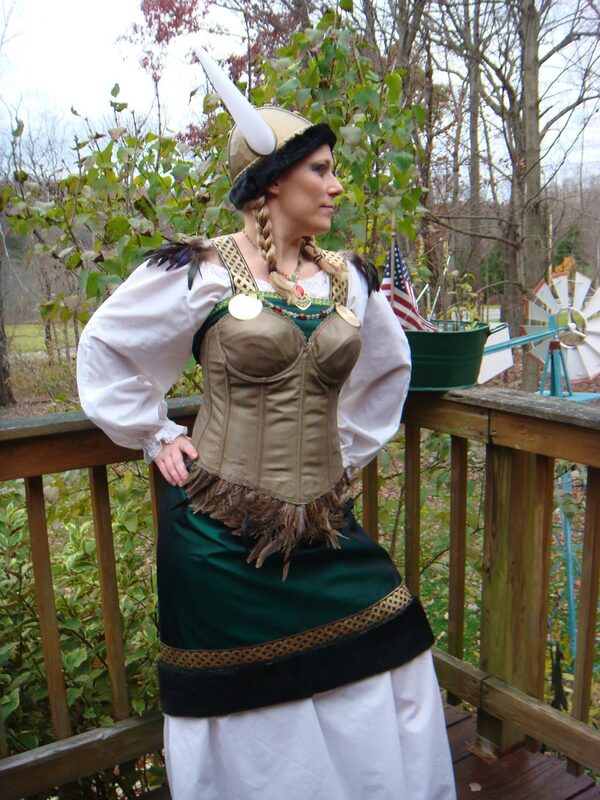 Abigail Kluska as Freyja, the chief goddess of the Norse pantheon. 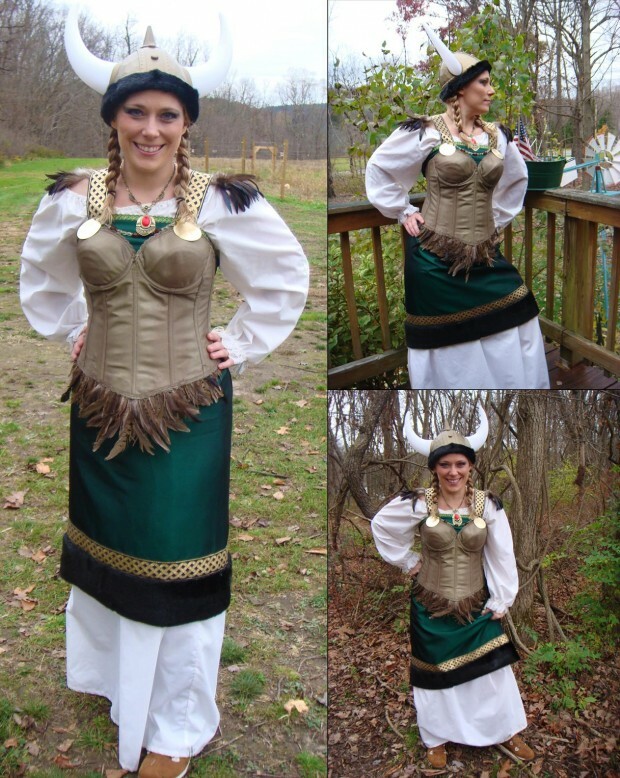 Abby was inspired by our Freyja costume design, and she did an absolutely fantastic job with it. Thank you, everyone, for entering our contest. We were blown away by all the gorgeous, creative costumes that people sent in, and we really wanted to award a whole bunch of prizes. We’ll have a contest again next year, and we’ll probably do different categories so more people have a chance to win. Speaking of next year, our Kickstarter campaign is heading into the final stretch. Please contribute whatever you can so we can have a wonderful 2013 season. And remember, all it takes is $5 and you’ll get a chance to vote on next year’s additions to our line of costume designs! Great job! Love the hair, the boots, the whole deal.